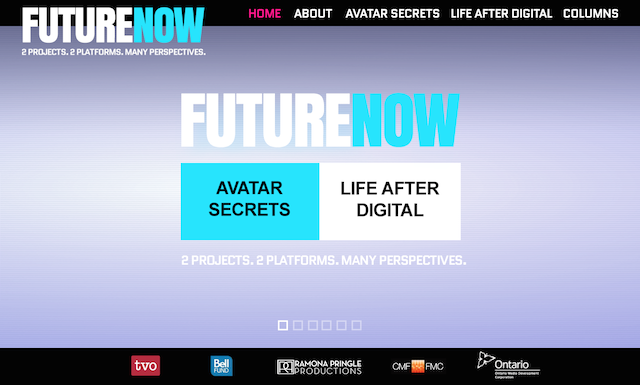 You can now explore the issues put forward in Avatar Secrets by visiting Future Now, a website developed by public broadcaster TVO. Starting today, visitors to the Future Now website can view thought provoking quotes and sound bites from Avatar Secrets and its companion TVO documentary Life After Digital. Visitors then have an opportunity to ‘vote’ on each idea presented via an interactive poll. Where Avatar Secrets looks at the positive ways digital technology is impacting human life, Life After Digital takes a more pessimistic approach, examining some of the darker consequences of our shared lives online. Results from the polls will be aggregated and the results displayed at the end of the project. Visitors to the website also have the option of diving deeper into the issues with bi-weekly columns written by Internet strategist, broadcaster and speaker, Jesse Hirsh, and Avatar Secrets’ writer/director Ramona Pringle. Life After Digital was written and directed by Marc de Guerre. It has its world broadcast premiere on TVO, Wednesday, October 15th at 9 pm and 12 midnight (EST). The documentary then moves to the TVO DocStudio website where it will make its streaming debut on Thursday, October 16th. 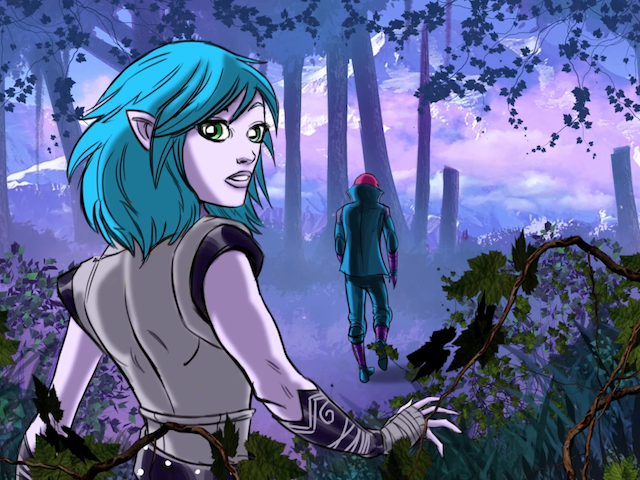 Avatar Secrets will be available for download in Canada from the App Store and iTunes, beginning October 15th. ← GamerGate: What is it and why is it rocking the [gaming] world? Avatar Secrets > News > Announcing Future Now: 2 Projects. 2 Platforms. Many Perspectives.